I mentioned back in an August Odds & Ends post that I'd fallen in love with pimento cheese after our summer vacation to Charleston. It was only a matter of time before I made my own, which became part of our appetizer spread on Thanksgiving. Some people eat a big Thanksgiving meal around lunchtime, but in our family we enjoy appetizers in the afternoon before sitting down to a feast for dinner. I planned the appetizer spread this year and couldn't resist throwing this into the mix in an ode to one of my favorite food discoveries of the year! The instructions for this recipe couldn't be simpler--toss everything in a food processor and combine. 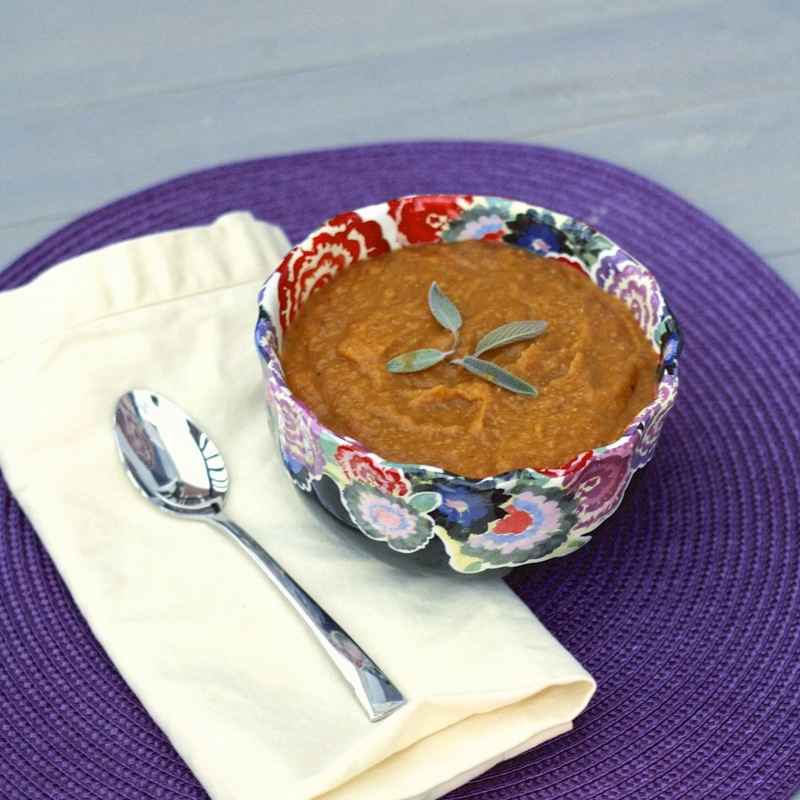 I didn't have access to a food processor when making this, but a blender worked in a pinch. My only complaint was that the cheddar and pimentos got a little too blended. 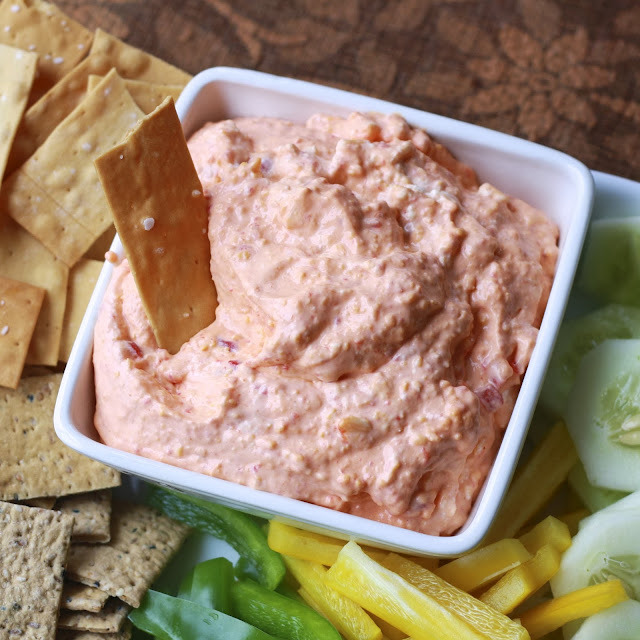 I prefer a chunkier pimento dip, but this could easily be controlled with a food processor, or you could skip the electronics all together and put a little arm muscle into it! My only recommendation is to add the Tabasco to taste. I got a little overzealous with my pour and felt the hot sauce overpowered the cheese flavor. 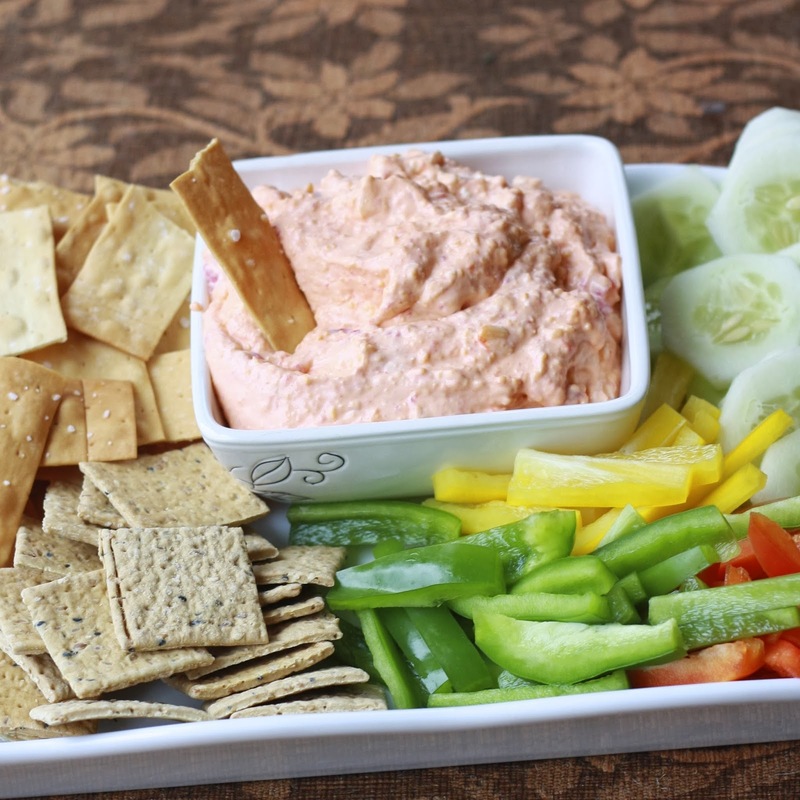 This is great served with crackers, but would also be good with crudités, pita bread, or as a sandwich spread! The usefulness of this feature became clear when we were baking Christmas cookies last month. I was already occupying one oven and Erin had actually completed her baking for the day. 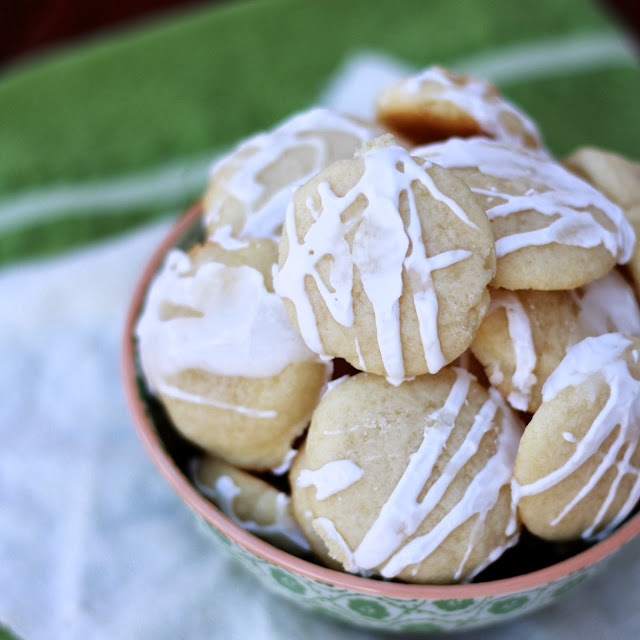 Then, on a whim, she remembered she'd been meaning to try these Almond Meltaway cookies and she quickly whipped up a batch. We had plenty of space, both in the ovens and the countertops, and didn't have to worry about the fact that our cookies required different oven temperatures. Believe it or not, the double oven wasn't even the best part of the day...it was the discovery of these cookies, my new favorite! 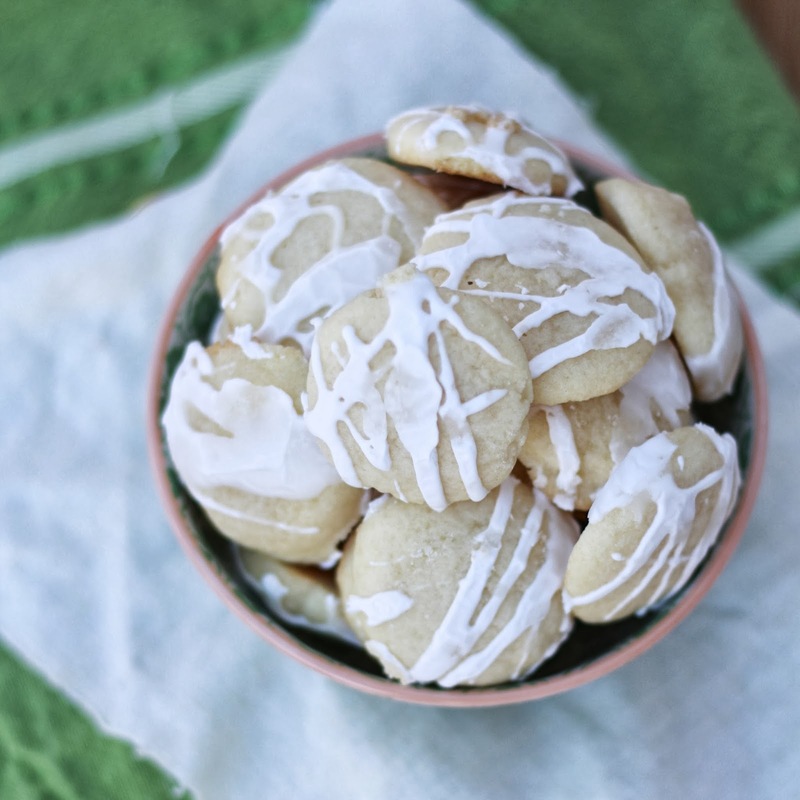 The name describes them perfectly--they're a buttery sugar cookie whose primarily flavor is almond extract, which in my opinion far surpasses the more popular vanilla extract. Texture-wise, they literally do melt in your mouth. 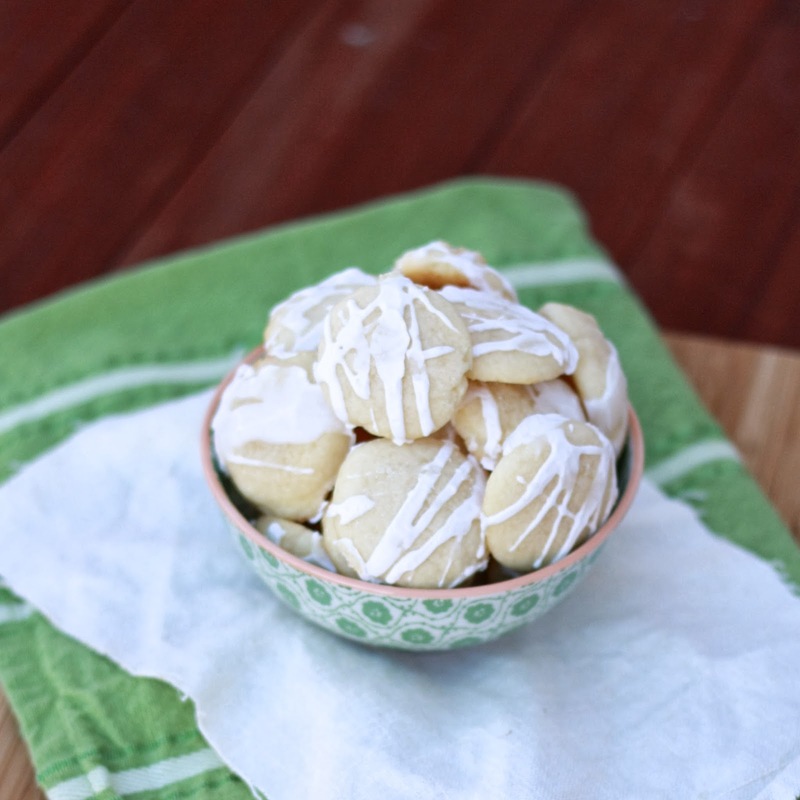 Erin sent me home that day with some of the cookies, but I insisted on making another batch a few days later because I couldn't wait to share them with my visiting family, who also fell in love with them! After a day of doing work around the house, getting our car seat installed and inspected, and taking advantage of 40-degree temps with an outdoor run, nothing sounded better than sitting down for burgers. We'd been to Five Star once before and had been talking about returning, so our decision of where to head when the burger craving struck was easy! The place was hopping at 7 pm on a Saturday night, but as a party of two we got really lucky and ended up waiting no more than 5 minutes for a table. Despite all the buzz around us, we never once felt rushed during our meal and settled in to enjoy the evening. Although Five Star is technically a chain (locations in Colorado and New Mexico, plus the 2 in Missouri), you'd never know it by the vibe and atmosphere you get inside. Each month they have a burger special, featuring a unique burger they've created, which is what I ordered the first time we went. This time I stuck to a classic, the magic mushroom (sautéed mushrooms, caramelized onions, and swiss cheese). Ryan hemmed and hawed between a few options (I don't blame him; everything on their menu sounds fantastic), but ended up with the lamb burger. While we waited for our burgers and fries to arrive, we split the Five Star Salad, largely drawn to it with the promise of figs and bacon. Unfortunately the salad was light on toppings, but still a decent basic salad. The burgers, on the other hand, truly deserve their five star rating! I can't note exactly what was so special about mine, except to say that it was perfectly executed. The toppings were plentiful, the meat was juicy but not greasy, and the brioche bun was the perfect vehicle for it all. As excellent as mine was, I have to say Ryan's was even better! The olive tapenade and tzatziki sauce on his lamb burger made for one of the best, if not the best, lamb burgers he or I had ever tasted! It goes without saying that we demolished the sweet potato fries & maple cream we ordered on the side, which are right up there with my love for Pappy's sweet potato fries. I purposely saved half my burger to take home, knowing I couldn't leave without dessert. Five Star Burgers serves Serendipity ice cream, which is our favorite STL ice cream (not to be confused with our favorite STL custard). At Five Star they offer a small cone coming in one of three flavors (vanilla, chocolate, and salted caramel), served in cake cones, for $1. It's the perfect end to the meal, and every single person in the restaurant seemed to agree with us! I can't wait to return when I'm not pregnant and try one of their alcoholic shakes! Bottom line--if you're in St. Louis and craving a burger and fries, Five Star Burgers won't let you down! Hooray for a successful January date! 1. 16 Signs You're a Little (Or a Lot) Type A. Yup, like it or not, this is me to a T! 2. I've already been insanely excited about the fact that Baby McLaury has a cousin just six months older (Eoin, pronounced Owen, is Ryan's brother's son)...and that excitement doubled when my sister Julia gave me the onesie you see on the left, above, announcing her pregnancy. She's due in June, less than four months after me, and I cannot wait to have housefuls of babies on both sides of the family (and believe me, neither can the grandparents!). 3. If you happen to browse through the latest issue of Everyday with Rachael Ray, you just might notice a familiar name on page 48. I was honored when the magazine asked to feature my Green Bay Packer Snackadium along with a few others in their January/February issue. I know the bigger bloggers see their name in print all the time, but for me this was pretty neat! 4. 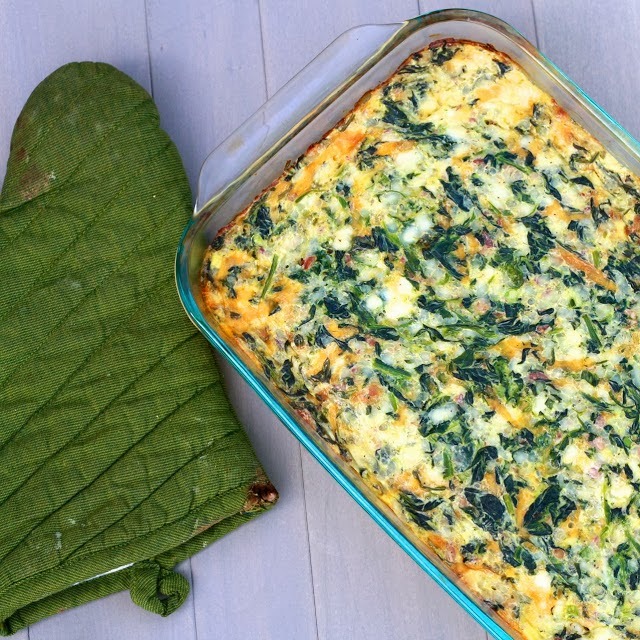 A few weeks ago we had my cheddar, bacon, and spinach egg casserole for brunch and I remembered why it's one of my favorites. It's healthier than a lot of egg dishes you'll find out there and it's bread-free, meaning you can save your carb calories for muffins or scones or danish on the side! We hosted Christmas at our house this year, and because my sister Julia was busy saving babies' lives on the night shift Christmas Eve, our Christmas morning broke tradition from what we were used to. Instead of awaking to stockings and gifts in our pjs followed by breakfast, we awoke to a leisurely breakfast and day before opening gifts in the late afternoon. It didn't really make a difference to me which order we did things, so long as we didn't skip out on the Christmas breakfast portion of the day! 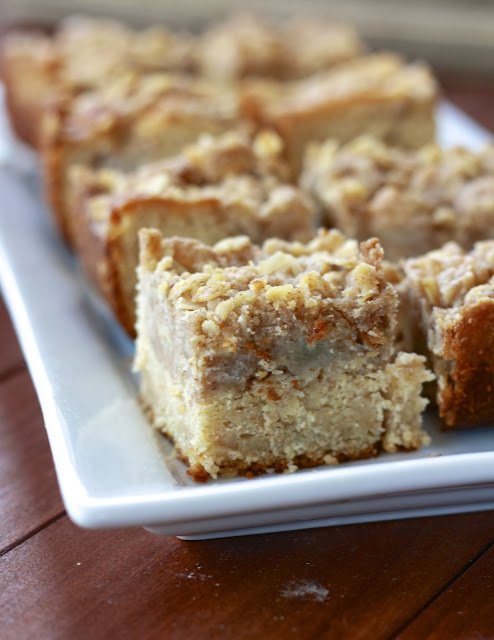 This coffee cake was the star of the meal, which also featured a spicy egg dish, fruit salad, and coffee. Made a day ahead of time, this was fantastic on days two and three, particularly when served straight from the fridge. The best part? Definitely the pear crumble that, as you can see in the photos, was nearly as thick as the cake itself. Normally fruit is mixed into the coffee cake batter, such as in this cinnamon apple cake, but I loved the way all the fruit was piled on top in this one, creating a nice contrast to the rich cake below. 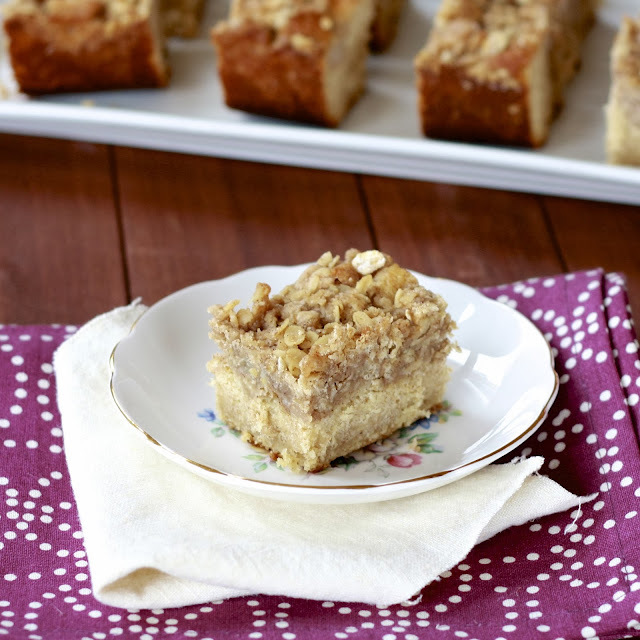 Definitely erring on the "cake" side of coffee cake, this is a breakfast treat meant for special occasions. 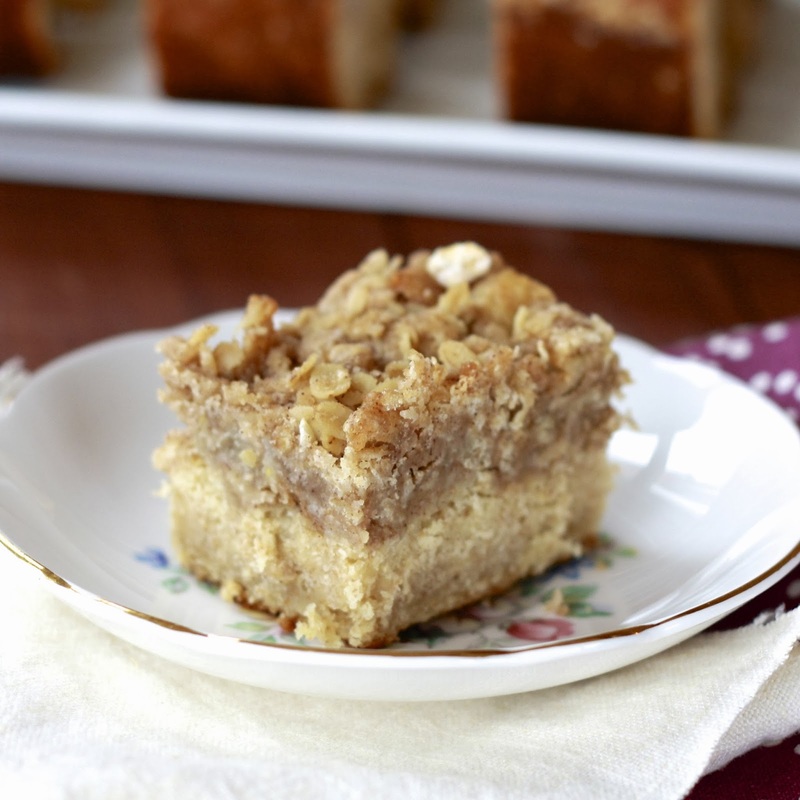 I did include some whole wheat flour and reduce a bit of butter in the crumble to lessen a bit of the guilt factor, but calories don't count on Christmas breakfast...and good thing because I enjoyed multiple pieces of this not just that morning, but in the days that followed! I really like shrimp, but I prefer when people prepare it for me. Ryan's dad makes a lot of great shrimp dishes, so I usually leave the shrimp-cooking up to him and just enjoy it when we're over at their house. 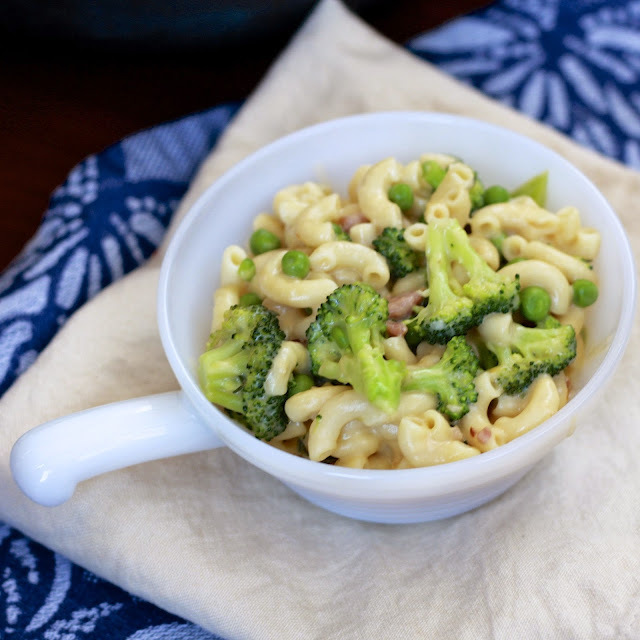 It's silly not to make it myself, however, because it's so easy, especially when you buy the frozen stuff that just needs to be thawed and is ready to cook. On our drive home from Cleveland over Thanksgiving weekend, I was flipping through the December issue of Cooking Light and this shrimp recipe stood out to me. 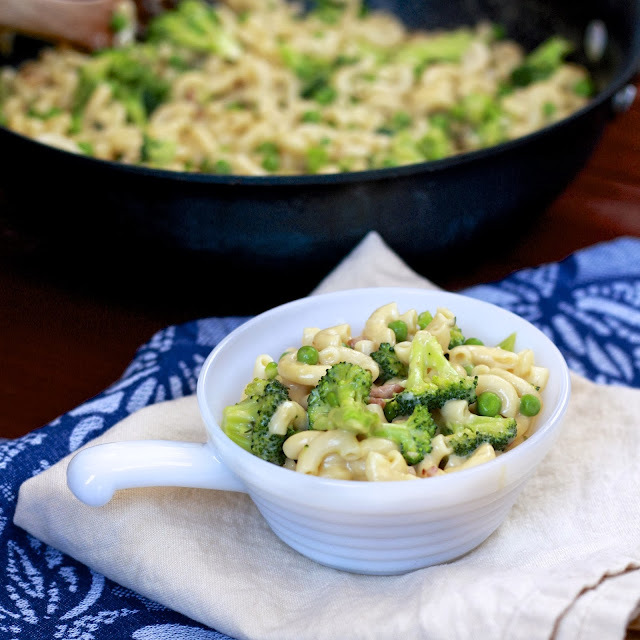 Minimal ingredients and preparation time sealed the deal and I immediately added it to our meal plan for the week. I'm happy to say it exceeded expectations, even though I forgot to pick up the green chiles for the cilantro rice! 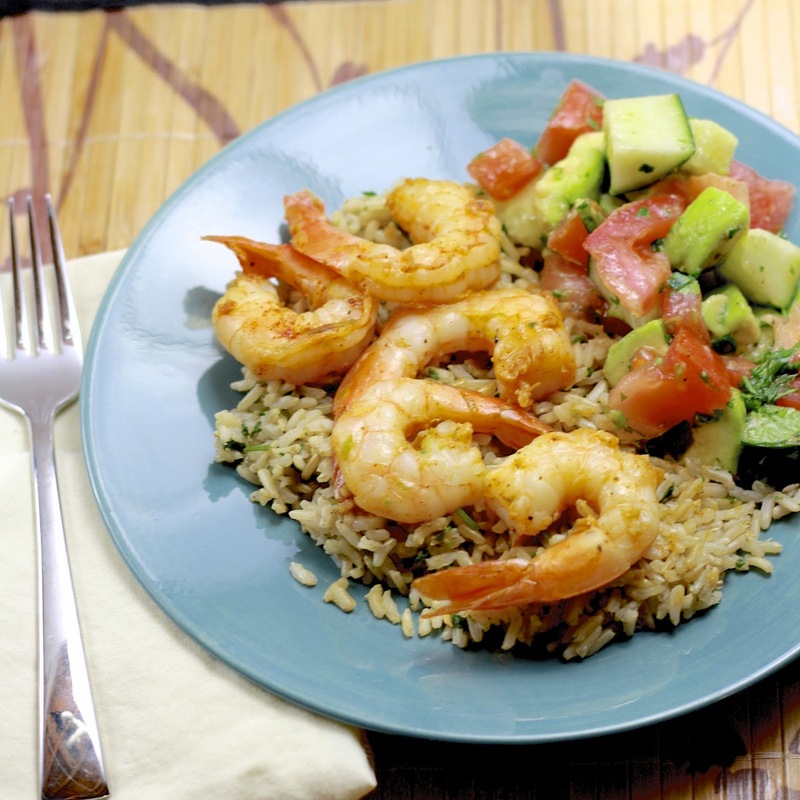 This is another great healthy dish for January, but the tangy shrimp keep you from feeling like you're eating "light" food. Looking for other shrimp recipes? 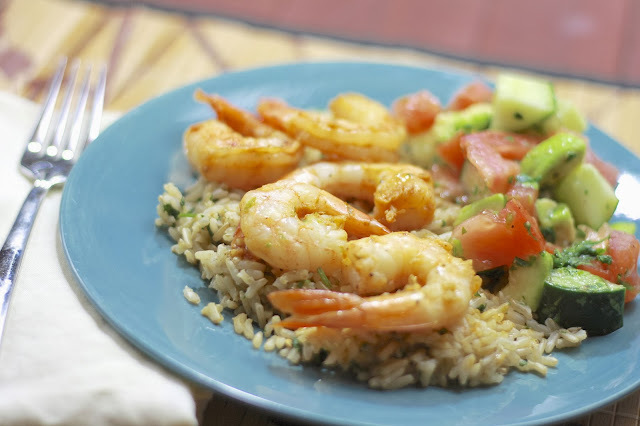 Make this green curry shrimp dish! 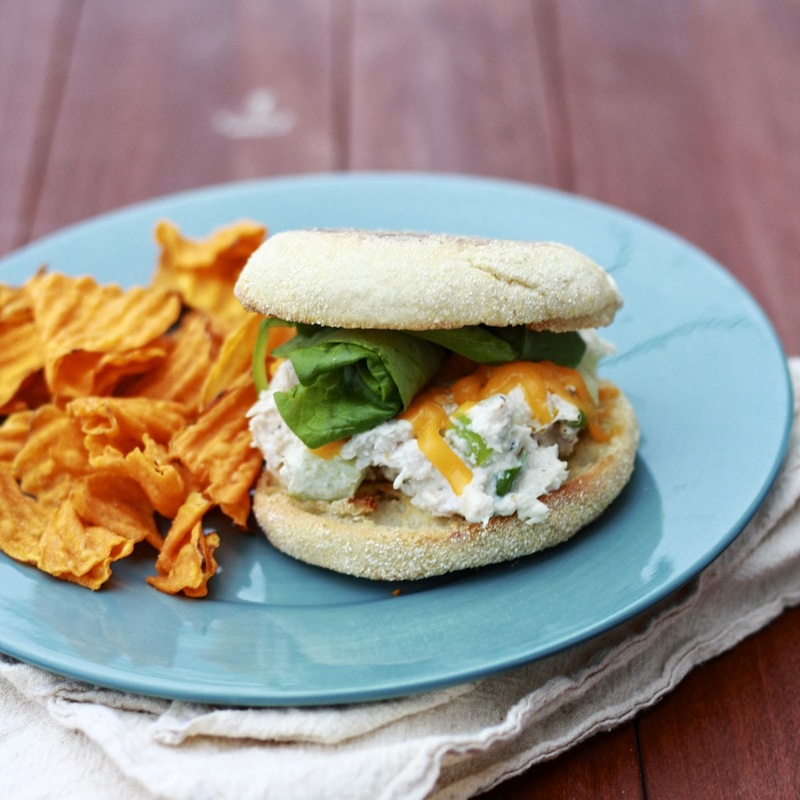 After years of feeling pretty meh about chicken salad, I've suddenly changed my mind and can't resist trying any chicken salad recipe I come across. It all started with the Chicken Salad Veronique, one of my favorite 2013 recipes and one with a special story behind it, and I haven't stopped trying new variations since then! This one is unique in that it's the first warm one I'd tried. 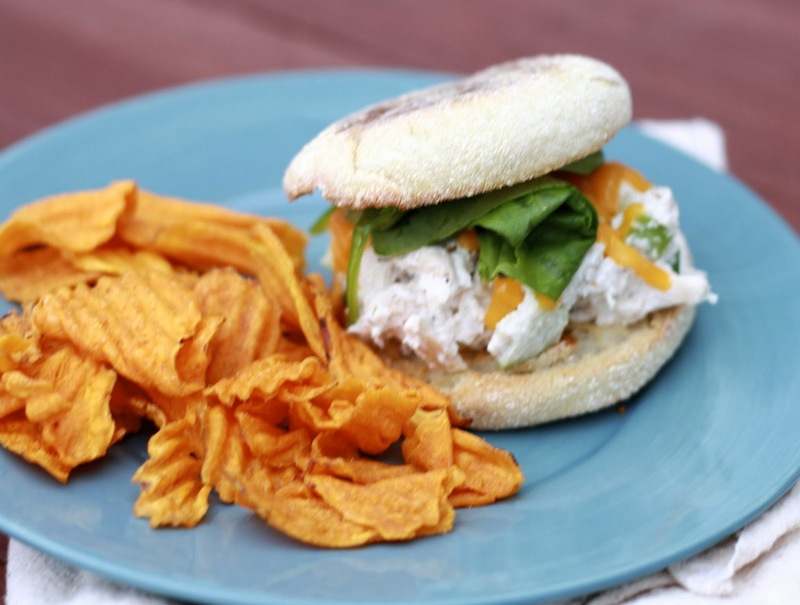 The chicken salad itself is pretty basic, lightened up with a mix of canola mayo and Greek yogurt, but I chopped up the apple included in the recipe instead of simply adding it as a sandwich layer. The best part is the shredded cheddar added to the top and broiled, warming the sandwich throughout. 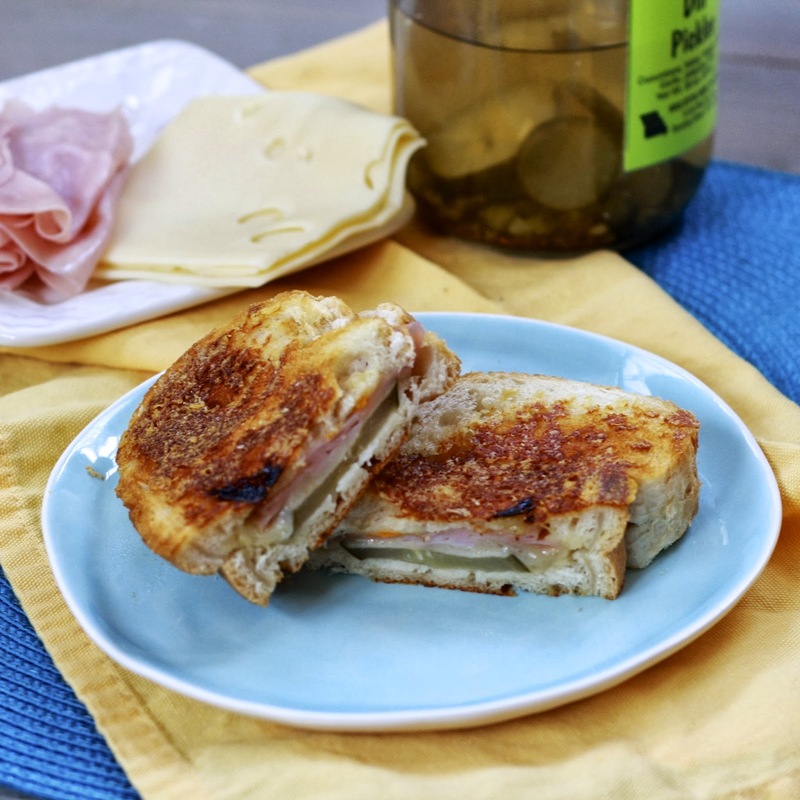 We ate it on toasted English muffins per the recipe, but you could nix the bread completely and broil in an oven-safe dish then eat with crackers or just a fork. Any other chicken salad recipes out there I should try? 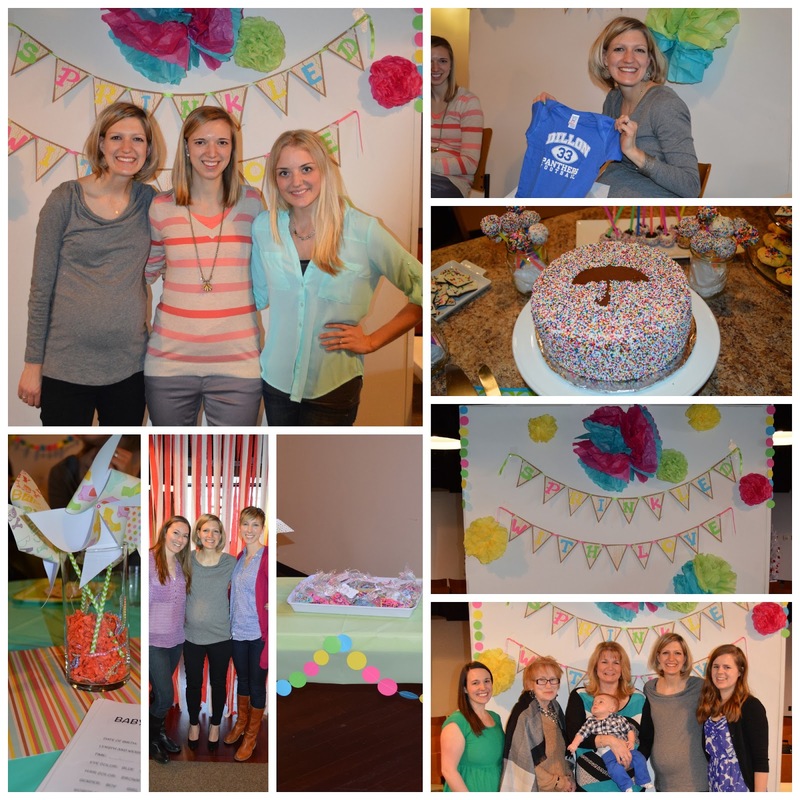 Today instead of my usual template for an Odds & Ends post, I want to take a minute to talk about the baby showers I've had over the past few weeks. I haven't gone too crazy sharing about my pregnancy on the blog (at least I don't think I have!) and haven't been posting weekly bump pictures or anything (heck, I haven't even been taking weekly bump pictures! ), but the showers thrown for me were too special to go without mentioning! First up, was a shower in Wisconsin, thrown by some of our dear family friends. I grew up in Wisconsin and have a lot of family and friends there still, so it was wonderful to see people I only see a few times a year, if that. The theme was "Baby It's Cold Outside! ", and boy did the weather fit the theme! The shower was actually a mere one day before the Polar Vortex swooped in and there was already quite a chill in the air. 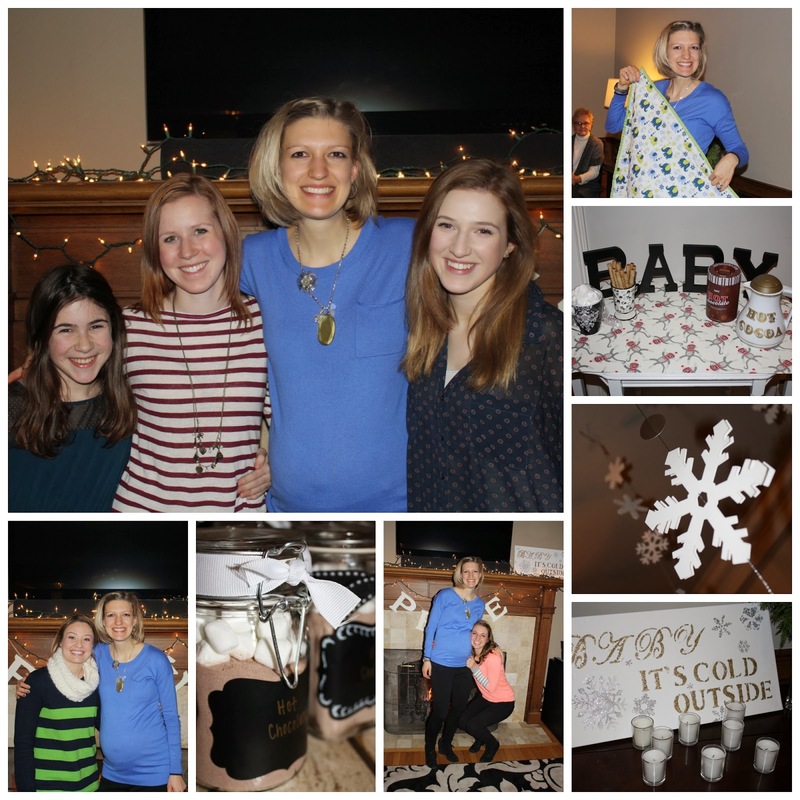 Things were toasty warm inside, with adorable snowflake decorations, hot cocoa favors, and cupcakes topped in orange and turquoise (our nursery colors!). The shower guests filled out pages with advice for both Ryan and me, which we've had a blast reading! The highlight was seeing my best friend from childhood; we grew up like sisters and leaving her was one of the hardest parts of moving in 7th grade. Since then, we've only seen each other a handful of times, but we never fail to pick up right where we left off! Less than twenty-four hours later, I was back in Illinois for a shower that my mom and another good family friend threw. This time, the theme "You are My Sunshine" did its best to counteract the terrible weather that had started to set in! After spending the week prior to the shower at home and watching my mom secretively hard at work for days, I was not surprised by how elaborately done this shower was. Plus, have you met my mom? She was born to party plan! 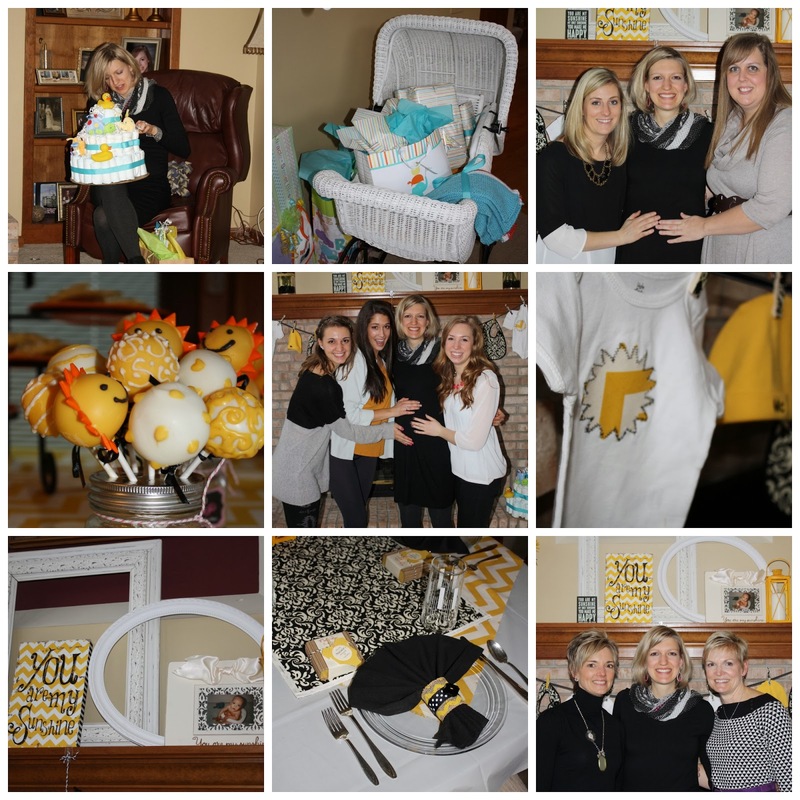 Yellow and black everything covered the house, right down to homemade napkin rings, embroidered baby onesies and hats, and sunshine cake pops. I chowed down on lunch full of my favorites amongst some of our dearest friends before being showered with generosity in the gift department. My bump size was guesstimated via the string game and ambitious guests participated in the baby pool---people are pretty split on gender, but everyone's quite convinced I'll deliver late AND to a pretty small baby (spoiler alert--baby is measuring right at 50% still!). Finally last Saturday, my sister threw me a shower here in St. Louis with the help of my fabulous sisters-in-law and mother-in-law. Julia once again proved she is my mother's daughter by blowing everyone out of the water with her homemade decorations depicting her "Sprinkled with Love" theme. Unsurprisingly, the refreshments did not disappoint--my sisters-in-law Kate and Erin outdid themselves with the desserts, the highlight being the sprinkle cake! My cousin and one of my best friends, Ashlyn, made the trek all the way from Orlando to join me for the shower. It was so special to be in a room with so many friends from different walks of life coming together to celebrate the joy and anticipation of this sweet baby of ours. Now with just about four weeks to go, I'm soaking every moment up. 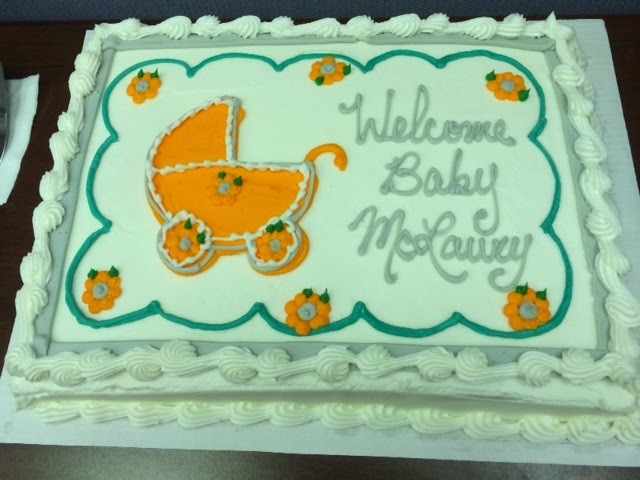 Baby McLaury has everything he/she could want or need. The linens and clothing have been washed. The car seat is getting installed and inspected later today. The nursery is nearly finished (more on that in a future post!). Everyone warns you how much your life will change, and as much as we are so ready and excited for those changes, I am also enjoying time with our family and friends, who have showered us with love and friendship not just in celebration of Baby M, but for as long as we've known them! I could not be more thankful for the blessing of people who have been put in our lives! Who needs a new muffin recipe? I've been making batches every couple of weeks and enjoying them for breakfast alongside my smoothies, switching between these and the morning glory apple butter muffins. Of course, if I’m going to enjoy baked goods for breakfast, I try to make them as healthful as possible. 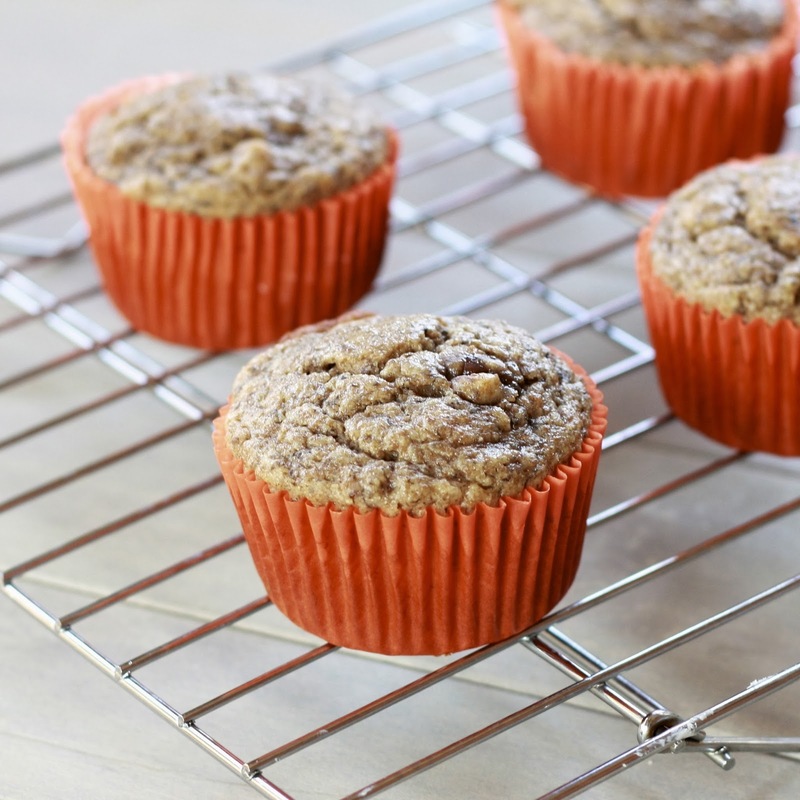 These are full of whole wheat flour, and sometimes I add old-fashioned oats in place of some of the flour. 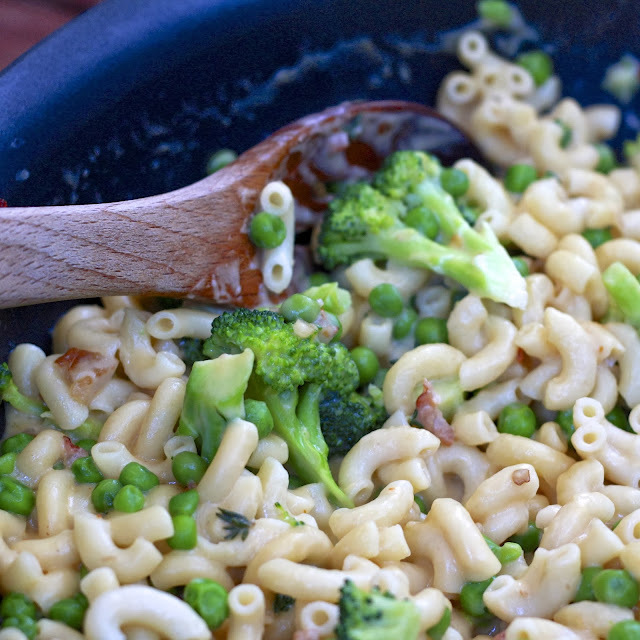 It’s also easy to include some ground flaxseed, if you have it on hand. The nice thing is how adaptable these are. You can use buttermilk, but I’ve also add success with both regular milk and yogurt. 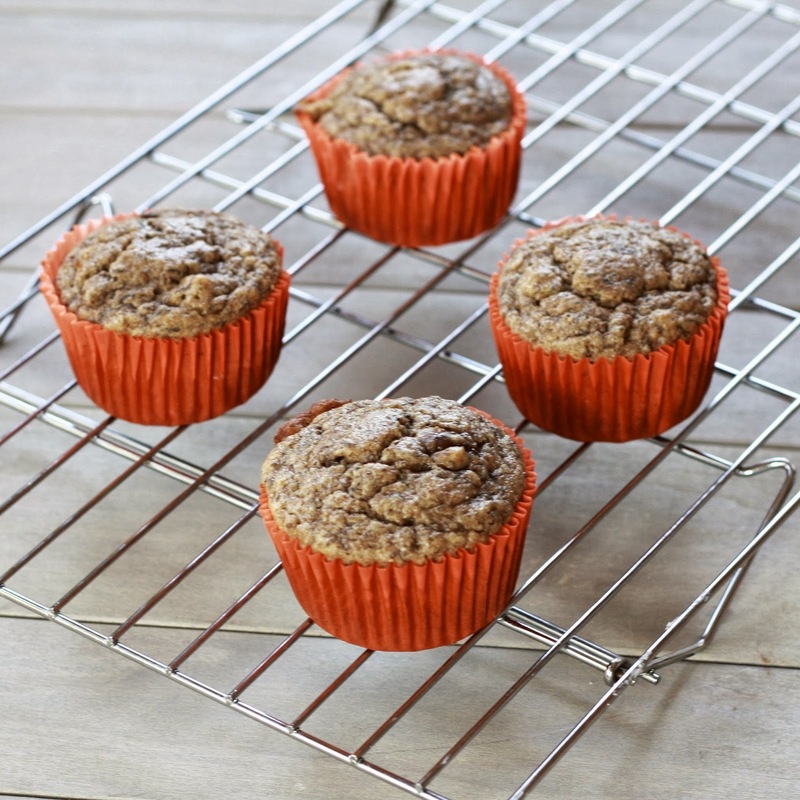 I try to keep the sugar minimal, the muffins instead getting their sweetness from the ripe bananas…and a smattering of chocolate chips (totally necessary at breakfast some days, although you could instead use raisins if you insist!). These are best stored in the fridge in an airtight container, and you can also freeze batches ahead of time and thaw before serving! Several weeks ago I found myself with a ton of random ingredients in my refrigerator and pantry. I was determined to find a way to combine them into a meal, without requiring a trip to the grocery store. We can call it nesting, but truth is I'd be set on not letting anything go to waste whether or not pregnancy was a factor. A few google searches, and I was able to combine most of the ingredients into a soup based on another I'd found online. I didn't originally intend on blogging it--my sole mission here was simply to use up the lentils and open container of broth and random sweet potatoes on the counter, but then Ryan and I actually loved the soup. I figured some of you might have a few of these ingredients on hand and since we're deep in the throes of soup season, it didn't hurt to share. 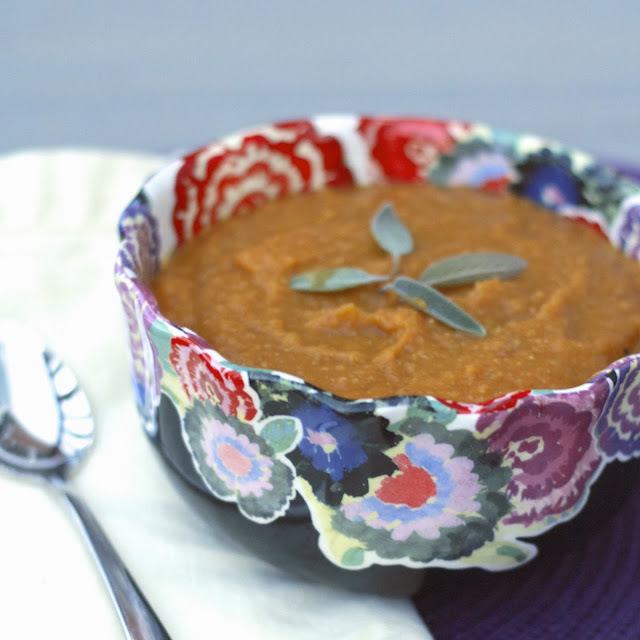 This soup was thick and hearty, but boasting tons of healthfulness from all star ingredients like lentils, sweet potatoes, and pumpkin. My poultry seasoning blend had a bit of a kick to it, which gave great flavor to a rather blank canvas of soup, so I recommend seasoning it with something you really like the taste of! For three semesters, my little sister Renatta has been living in St. Louis and attending St. Louis University. I’m fortunate enough to have my two sisters-in-law as well as my sister all living within minutes of me, and having Renatta so close at hand has been icing on the cake! We usually see each other at least once a week and while her motivation might our chauffeuring services and the baked goods I pawn off on her, I’m more than happy to oblige. This semester she’s off on the adventure of a lifetime—studying and living in Spain with a few of her best friends, a college experience I never took advantage of and will forever wish I had! I’m thrilled for her (and thrilled to be the keeper of her nail polish collection while she’s abroad), but of course missing her all the same. Although I would’ve loved to take advantage of her baby whispering skills come February, what I’ll most miss are the simple nights of just hanging out with her and Julia, essentially continuing the patterns we established growing up, albeit now four and a half hours south. 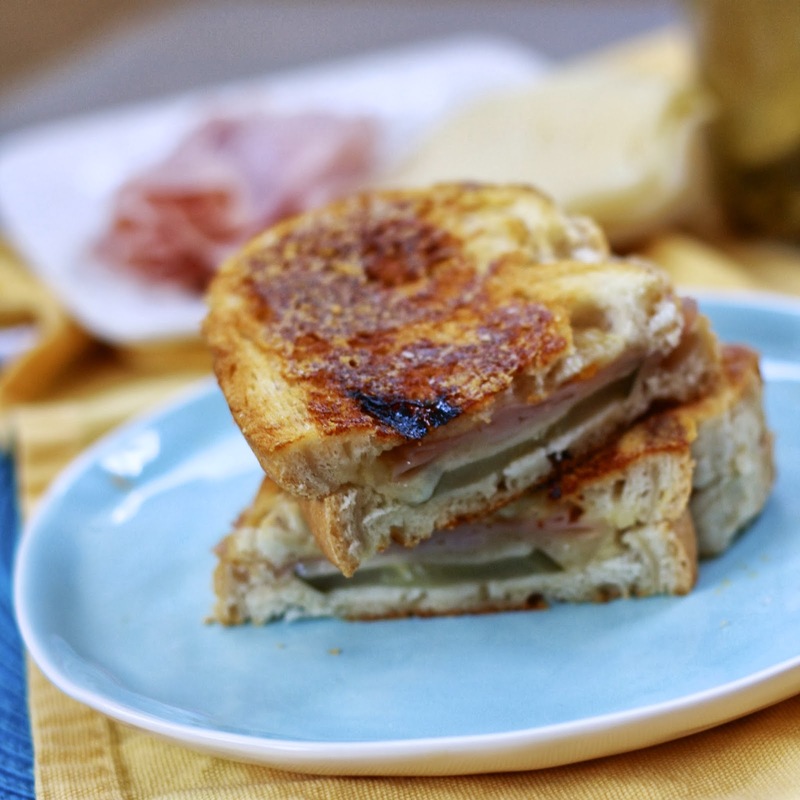 These inside out grilled cheese sandwiches were the star of one such evening. We huddled in my kitchen one Friday night a few months ago, swapping stories from the week and gossiping about Jennifer Lawrence’s haircut (consensus: big fans!) while I prepped these sandwiches. The occasion may have been ordinary, but the sandwiches certainly weren’t! The insides are spread with a marmalade mustard mixture, and then stuffed with pickles, ham, and cheese. 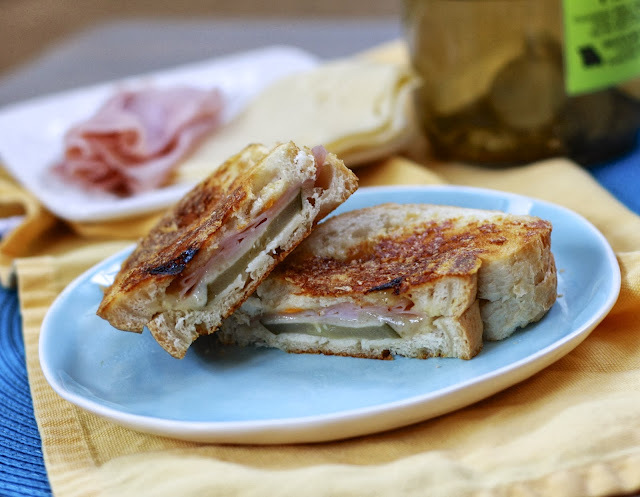 The goodness doesn’t stop there, however, because the outsides of the bread are then coated in parmesan cheese. 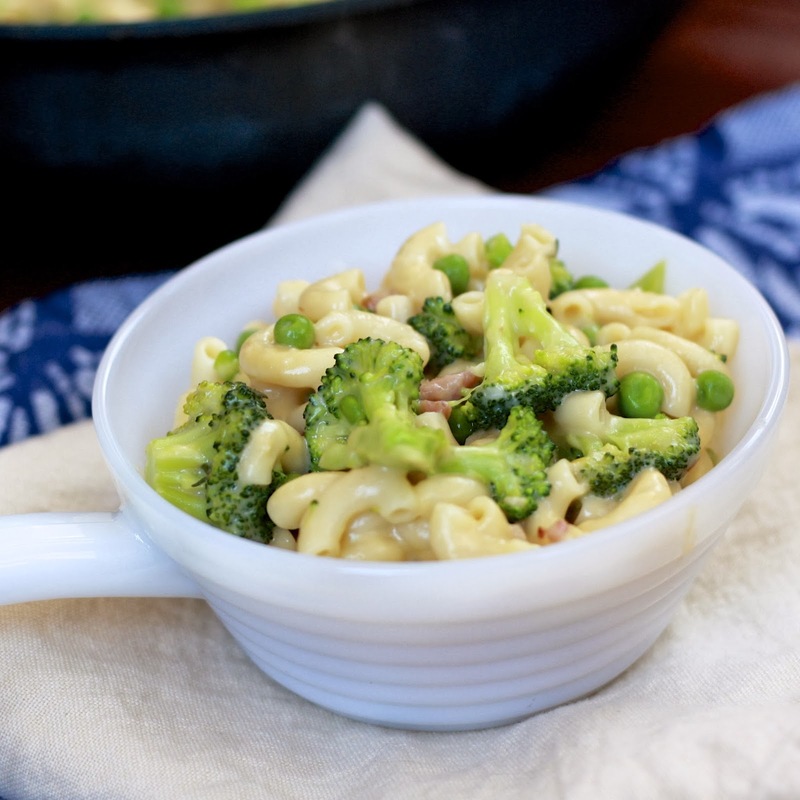 The result is a cheesy, crusty exterior that gives way to tangy, gooey innards. The other great thing about sisters, besides the obvious? They’re always willing to split another sandwich with you, when you’re simply too full for another but they’re too good to resist a few more bites!